Having attended two conferences in recent weeks namely the CLA organised ‘On The Brink’ at Barnham Broom Norfolk and the National Flood Forum Second Annual Conference in Birmingham, I am left with mixed feelings and emotions. The ‘On The Brink’ gathering was indeed excellent as it highlighted what we are facing in terms of global warming and other environmental changes. From that came how little our Government appears to be doing or even planning to combat those inevitable changes i.e. sea level rise and weather patterns, in coastal defence terms. If central Government continues on it’s chosen path many people could be facing disaster even in the short to medium term. The NFF gathering in Birmingham was also an excellent event. Although concerned mainly with fluvial flooding there was some discussion on coastal defence / erosion. There was a strong feeling that if we are going to actually manage our coastal defences there must be a statutory means to address the current lack of compensation for those businesses and homeowners who lose everything as a result of the defensive line being moved landward, as is happening in Happisburgh. What did come over to me loud and clear through both of these events is just how inadequate the Coast Protection Act 1949 is. The 1949 Act, which in itself was a revamp of the 1939 Act, was placed on statute 55years ago. Long before global warming and tectonic plate movement (where the North West of the UK is rising and the South East is sinking. Something to do with glacial rebound I believe) were ever thought of. We are currently attempting to manage and mitigate twenty first century problems with a rather blunt mid twentieth century instrument and the chaos of a multi agency approach, Happisburgh is a glaring example of this. There was some discussion about offshore aggregate dredging and it was interesting to note that at least one speaker in an ‘official’ capacity admitted that “ We really don’t know” when referring to the effects of dredging on coastal erosion. I also note that more and more voices are supporting my call for a moratorium on aggregate dredging until we do know the full consequences. That seems to me to be the only sensible way forward. 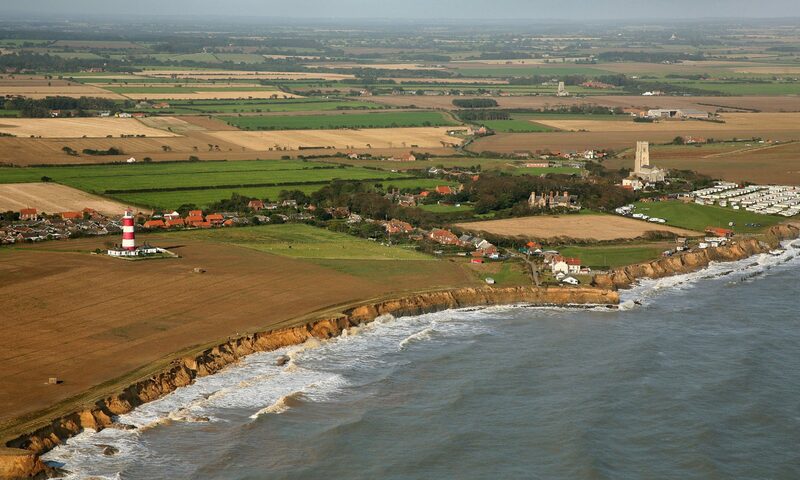 Happisburgh cliffs are eroding five times faster than expert prediction, more in specific areas, this quite clearly is not the result of natural process. It is Central Government, DEFRA, who block all progress in the defence of Happisburgh and the Northern Norfolk Broads, yet they make a profit of approx. £1,000,000 per week every week from offshore aggregate dredging off the Norfolk Coast alone. That means over the five years (or 260 weeks) CCAG has been in existence Central Government have made some £260 million profit from our assets and indeed our sacrifices (26 properties already lost) having spent absolutely nothing on our protection! I would welcome justification of the foregoing in moral as well as economic terms from Messrs Blair, Brown, Prescott, Beckett and Morley. Finally I would cordially extend my belated best wishes to the DEFRA Chief Engineer Reg Purnell for his 58th Birthday on 15th (the Ides) of March.